You have had your formal shots and the stress of making sure you didn’t miss the Mother-In-Law. 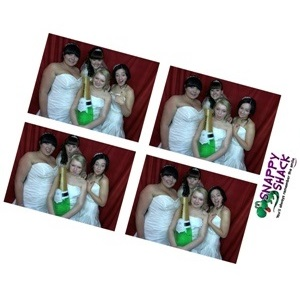 Were all of the bridesmaids looking their best? How did you hide great Uncle Jonny? 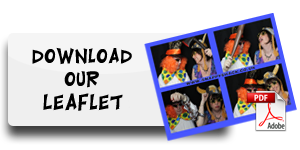 Now the expensive formal photographer has gone home you want to entertain your evening guests and remember how much fun your special day really was. 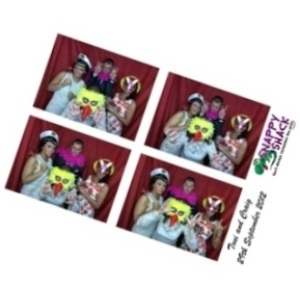 The good news is there is a solution, you need a Snappy Shack Photobooth! 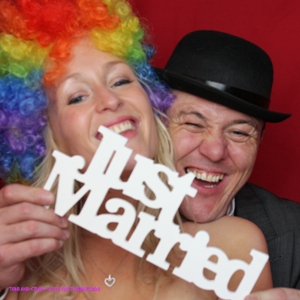 Not only will you get unlimited photos of all of your guests, showing their flair and imagination with a rather large box of supplied props, you also get to entertain them with a talking point that will have them remember your special day for a very long time. 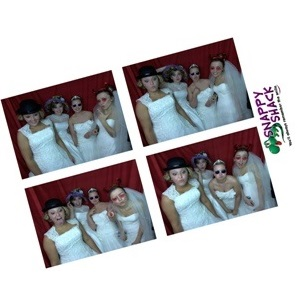 What will your Snappy Shack Photobooth hire include? All that enough? 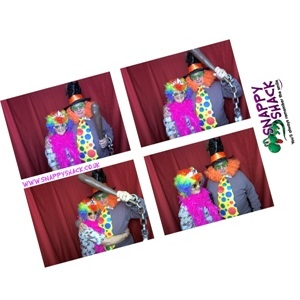 There are some great optional extras to make your Snappy Shack experience even better! 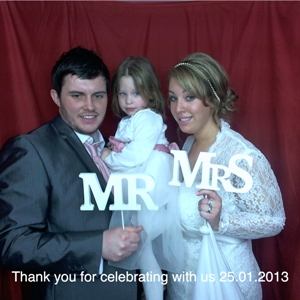 Guest book photo album. 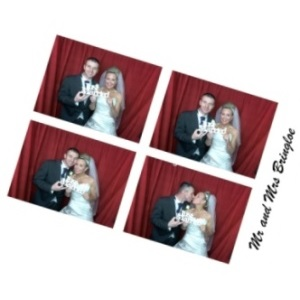 Make the most of having your closest friends and relatives together we can provide a high quality album, the booth prints two copies of the photo, one for your guest and one for you, we take the second copy and stick it in the album and your guests can write their messages and well wishes round the images. This is just £35, including the stationery. 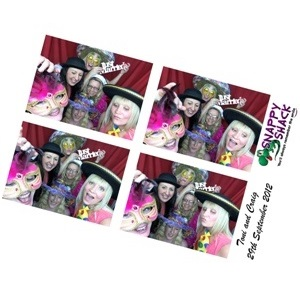 We also have a stunning 42 inch monitor that shows the images as they build up through the night and is great for encouraging people to enter the booth, it also allows you to have a giggle at what everyone else is getting up to. The monitor is wirelessly connected to the booth so can be placed up to 20 metres away and depending on the building it can often be in the next room, great if you are using two spaces. 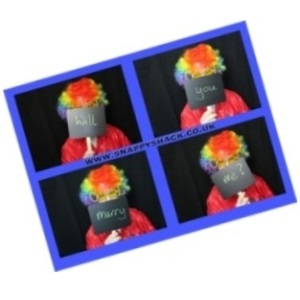 This is only £75 for the whole duration of your hire. 4 hours not enough? Extra hours are charged at £75 an hour, and if you want us to take some time away, perhaps you want us at your afternoon for an hour but the evening do starts a little later we ask for £50 for each hour of down time. If you want some more information please contact us. Or you can use the booking tab to save your date with the low deposit of just £100, the remainder - including extras - is due a month before your event. 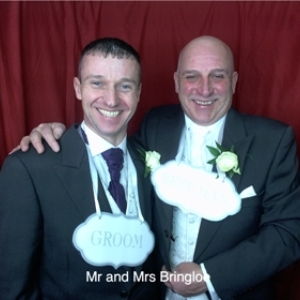 We wish you a wonderful day and would love to help you celebrate and remember the event for the rest of your life.